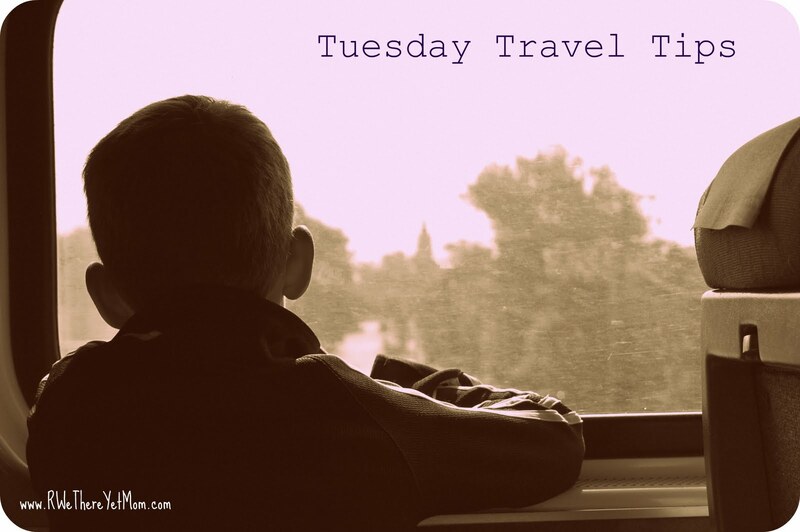 Tuesday Travel Tips: What Do I Pack?? - R We There Yet Mom? You are here: Home / planning & packing / Tuesday Travel Tips: What Do I Pack?? For me, Packing used to be one of the most difficult things about travel. I used to agonize for days over what to take on a trip – and would often wait until the last minute to pack before going on a trip. And you know where that led me? Doing laundry at midnight to make sure I had clean clothes for the trip! Yeah, it wasn’t pretty. 1. Plan an outfit for each day. This doe not mean you or your kiddos won’t wear the same jeans twice, but by thinking through each day of the trip, you’ll know how many outfits are truly necessary. By laying out a week’s worth of outfits on your bed, you avoid overpacking, an absolute NO-NO! 2. It’s alway a great idea to pack at least one sweater/sweatshirt or light jacket. Even if you are going to the hottest place on earth, you will more than likely encounter a plane, train, bus, or hotel that keeps the AC down low. I once had to pay $75 for a thin, ugly jacket to take on a fishing outing in Mexico….in June. Who’da thought? Never leave home without it. 4. Bring extra undies! As the kiddos get older, we don’t need to pack as much for them, but it never hurts to have extra undies. Especially for our toddlers who are still mastering the fine art of using a potty! 5. Pack for the event. Have fancy dinner reservations? Want a fun night on the town? Pack a snazzy outfit and make yourself feel special. Maybe you want that perfect family shot on the beach? Think in advance and pack outfits for the events you might be enjoying while on vacation. 6. Pack for the climate. If you are going to Disney World in Florida in September, pack a few $1 ponchos (or pay $20 at the parks). It’s going to rain. If you are going to hike the deserts in Utah in the Spring, pack your sunscreen and camelbacks. It’s going to be sunny. Knowing what you may possibly encounter while on vacation can save you in the long run. You’ll be prepared and look like the hero! 7. Don’t forget a mini first aid kit. I always have Band-Aids, antibiotic ointment, a pair of tweezers, Pepto-Bismol, ibuprofen, and a thermometer with me when we travel. If anyone in the family takes prescription medication, be sure to take a copy of the prescription with you as well as your insurance crds. I never leave home without a full bottle of allergy meds – you never know what will trigger the sneezies for your family. Try finding Zyrtec in Ireland – it wasn’t easy!! What things do you always pack??? For road trips I always bring a bag of books and Adventures In Odyssey (or other stories) on CD. And I always bring sunscreen. great tips! i have a master packing list that I use, and I edit as necessary depending on where we are going. i’m a notorious overpacker, though. Excellent tips. I pre-plan my outfits too, not necessarily for a specific day, but as one of the days. Like Connie, I bring along a trash bag or something to keep the dirty clothes separate. Great tips – I’d also add that mixing and matching when you lay out your outfits goes a long way to reducing the amount you bring. Another mom shared this w/me. If you have the room in your vehicle and you’re staying in one place for several days, pack everyone’s clothes in a drawer of those wide plastic towers. You don’t have suitcase contents all over the floor, everything stays organized and it’s all packed to put back in your vehicle when you’re ready to leave! I tried it w/my six kids, it was wonderful!! !